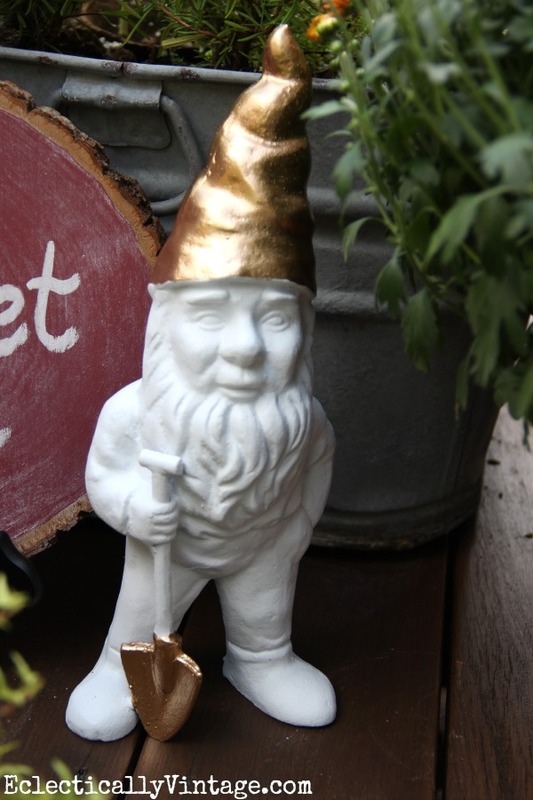 Chalkboards, Gnomes and Bling … Oh My! I never met a chalkboard, gnome or bit of bling I didn’t love. As they say, you can never have too much money or too many chalkboards and we don’t have to settle for black chalkboards thanks to this gorgeous shade of burgundy chalkboard paint. 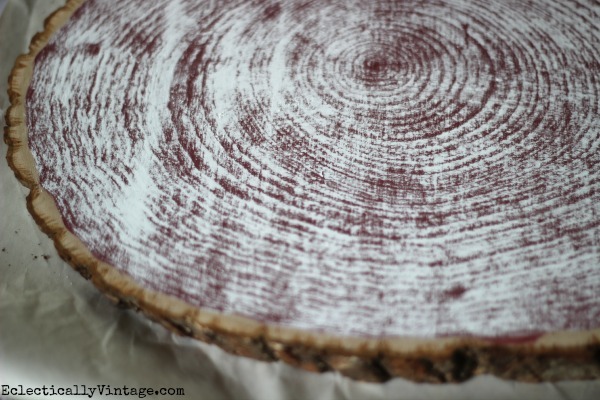 It’s perfectly Fall-y and perfectly suited for a log slice (and I love that it comes in a small bottle so you don’t have to commit to a lot). These little bottles of chalkboard paint goodness come in other fun colors like Grape Jelly, Raspberry Ice and Gray. 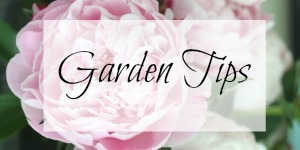 1) With a thin paintbrush, paint a border of chalkboard paint around the edge of the log slice (I left a small bit unpainted) then fill in the rest of the slice with more chalkboard paint (two coats – waiting for it dry between coats). or do what I did and write about gnomes. or at least he’s ready to shovel in style. Here he is before (he’s smiling on the outside but inside he’s sobbing). And here he is in all his gilded glory. He demands a close up (he’s so vain). 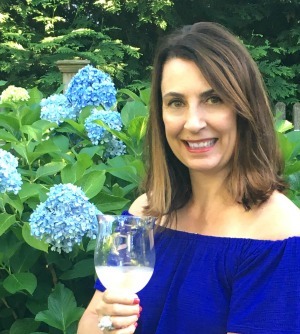 I added one of my favorite bling producing products of all time – Martha Stewart gilding liquid (it comes in gold, silver and bronze – I used gold). He’s really made himself at gnome. What’s better than crisp fall weather, another chalkboard and a gnome that proudly struts his stuff to greet anyone who knocks on my door! 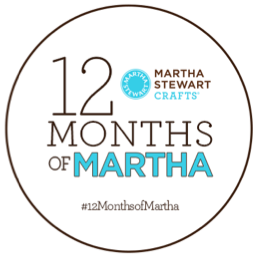 I’m part of the #12MonthsofMartha team where my BFF Martha Stewart sends me a box brimming with supplies each month to create something fabulous – I only speak the truth. 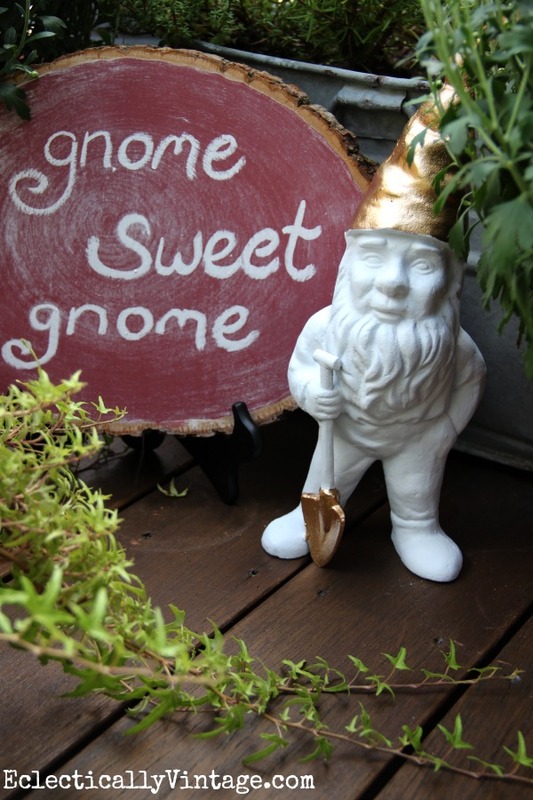 I’m with you…chalkboards, gnomes & bling…bring it all! I’m not going to show Gerhardt, Helmut, Frank & Dieter your gnome’s new clothes as Dieter especially wants his hat fixed and that’s not gonna happen. Btw, does your family like your gnomes? Mine don’t-they think they’re creepy. Love it! I am going to be on the lookout for gnomes! This is so cute and creative, Kelly! 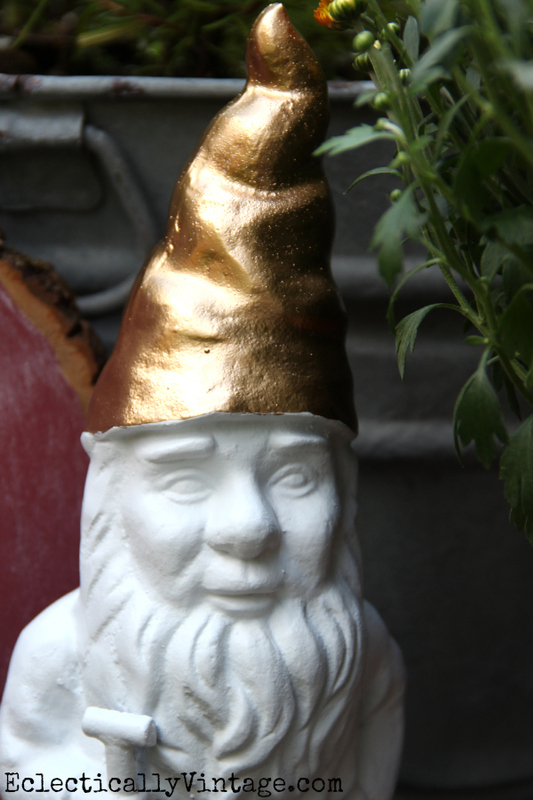 I never liked gnomes, but this blinged up version is making me take a second look at them! Love it! Love the gnome makeover! 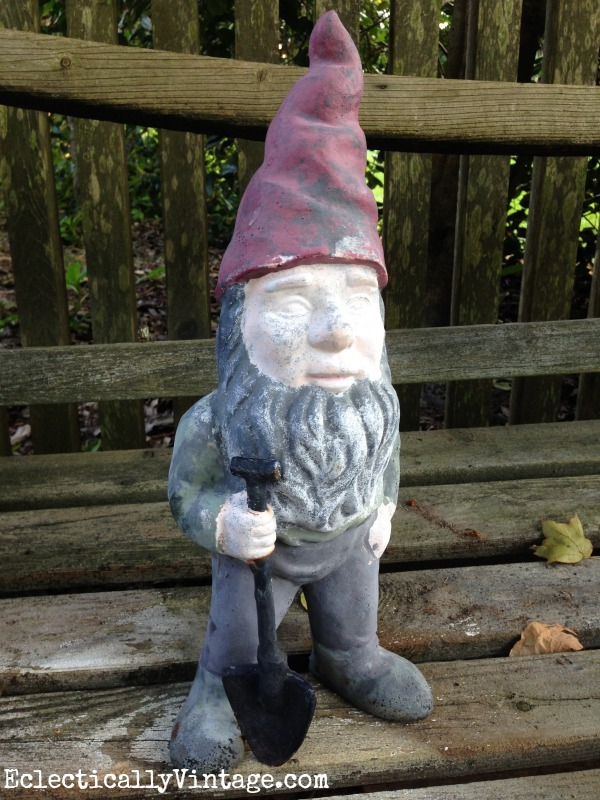 I gave a creepy old gnome but my hubby loves his freak factor so he won’t let me paint him. He hides in our garden and he may just scare me every time I look at his rhinestone (seriously!) eyes.